I am not a morning person! I am so happy when I get to wake up at 9AM without an alarm, can slowly work my way out of bed, to be greeted with a hot cup of coffee. Then after 30 minutes or so to get my blood moving, I like to make a nice breakfast for the family to enjoy. Oh the perfection of it! But that is not how most mornings go!!! Usually I am awakened by a screaming alarm or screaming kids about 6:45AM. Yuck! Then they are starving, so I grudgingly throw some cold cereal into a bowl for them while making myself a much needed cup of coffee. After many tears and fights, I am able to get them dressed and teeth brushed in time to get to school. After which I collapse onto the couch at 8:20AM wishing I could just go back to bed and hope tomorrow will be better. However, on the weekends I insist on at least one morning where I get my perfect morning (or at least close to it). And I insist on the family eating a real breakfast together. A couple weeks ago the kids were asking for chocolate chip pancakes, which (surprisingly) I am not a huge fan of. I love chocolate, but I don’t feel like pancakes can stand up to hot gooey chocolate and they end up too mushy for me. 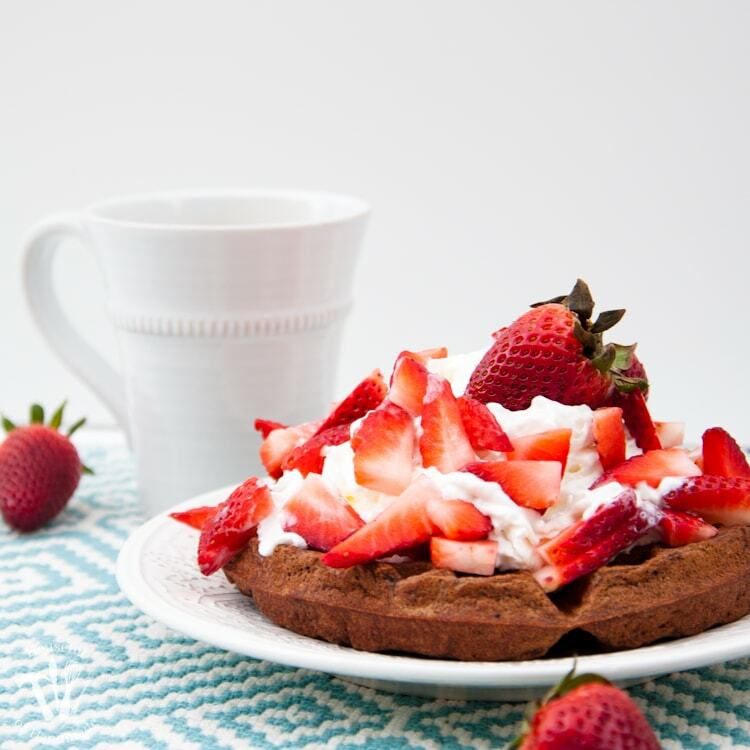 Instead, I tweaked my favorite waffle recipe and came up with these Healthy Chocolate Waffles and we love them! 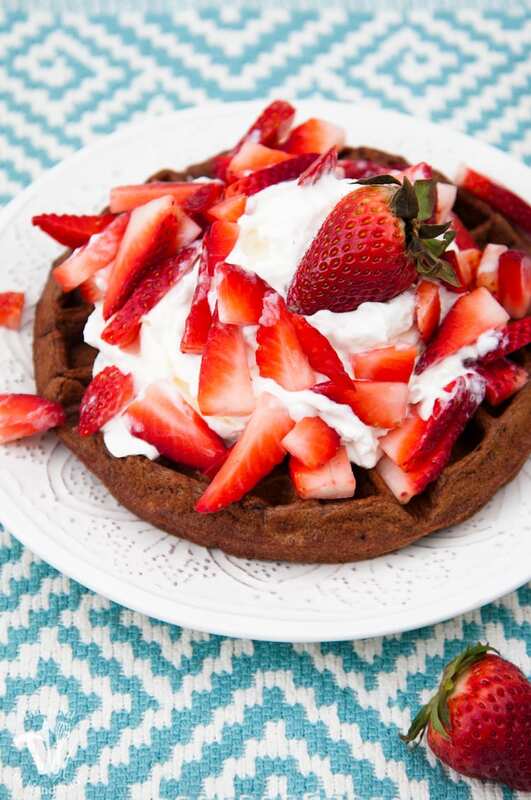 These Healthy Chocolate Waffles are our new favorite weekend breakfast. We cover them with loads of whipped cream and fresh strawberries (gotta get a serving a fruit and some dairy in there). And the kids are happy to wait for me to wake up before making breakfast if they know I am making them! 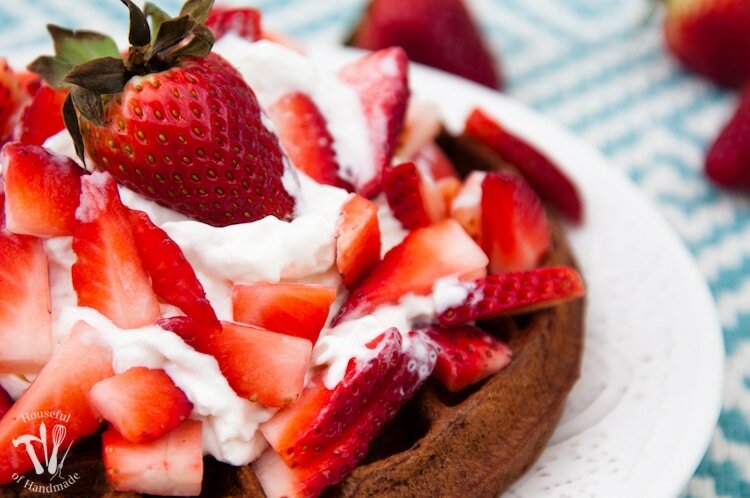 Make breakfast something special with these Healthy Chocolate Waffles. All the chocolatey goodness you love, but with a few secret ingredients to pack them full of nutrition for the whole family. In a large bowl, combine flours, cocoa powder, sugar, baking powder, baking soda and salt. Whisk together and set aside. In a large glass measuring cup, combine melted butter, milk, Greek yogurt, egg yokes and apple cider vinegar. Whisk together and set aside. In a medium bowl, beat egg whites until stiff peaks form. Add milk mixture to flour mixture and whisk together. Carefully fold in egg whites until combined. Cook on a hot waffle iron according to manufactures directions. Yummmmmm! Healthy AND chocolate? Music to my ears! Pinned, tweeted, and shared. Thanks for sharing at Merry Monday, hope to see you again next week! This looks so delicious, pinning to my breakfast board, thank you so much for sharing this recipe! I hope you enjoy them! They are my kids new favorite waffles. 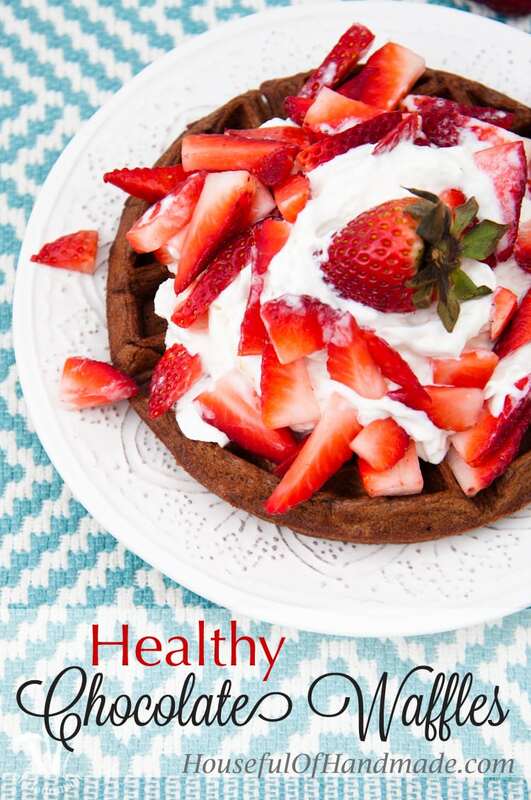 “Healthy” and “chocolate” are like the keywords to my heart. This recipe looks amazing! Anytime I can eat chocolate for breakfast and is a good day for me 🙂 I hope you enjoy it! Yum–these look so good! Thanks for sharing at Funtastic Friday. What an awesome idea. I would probably throw some flax seed in too to make them even more healthy and you’d probably never even know. Thanks for the idea! I love that idea! 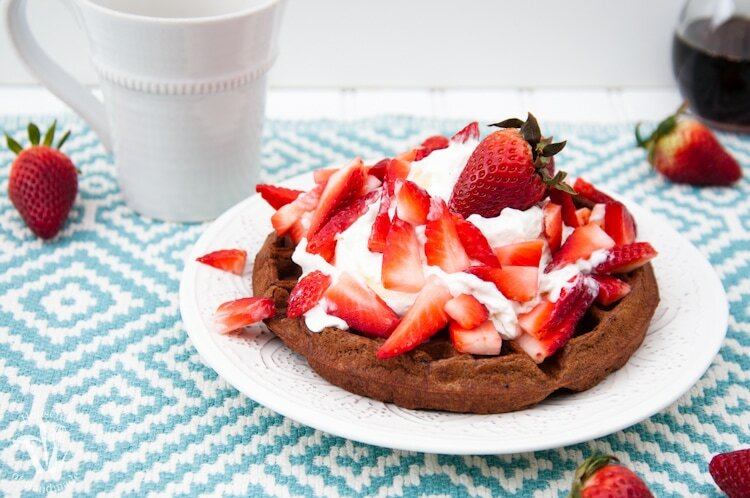 I put flax seed in our bread all the time, why haven’t I thought about adding it to waffles? This looks so delicious! Thanks for sharing at Link party Palooza.